Cate Blacnhett has been on the promo trail for her new film 'The House With A Clock In Its Walls' and on Sunday(September 16th) she attended the premiere at the TCL Chinese Theatre IMAX in Hollywood, California. 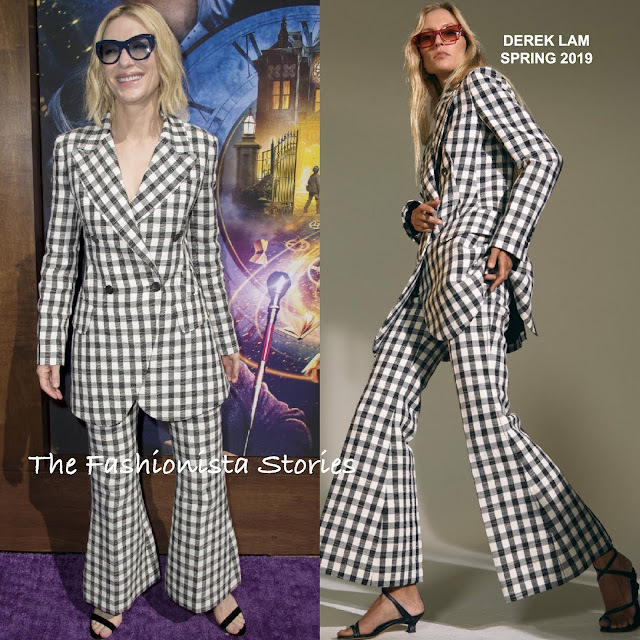 Cate was definitely have a cool girl moment while rocking dark sunglasses with her black & white DEREK LAM SPRING 2019 checkered printed wide-leg, crop pants. Power suit on women, continues to gain momentum on the carpet and for me personally, I am here for it, especially when it is done right. What do you think of Cate's checkered print look?